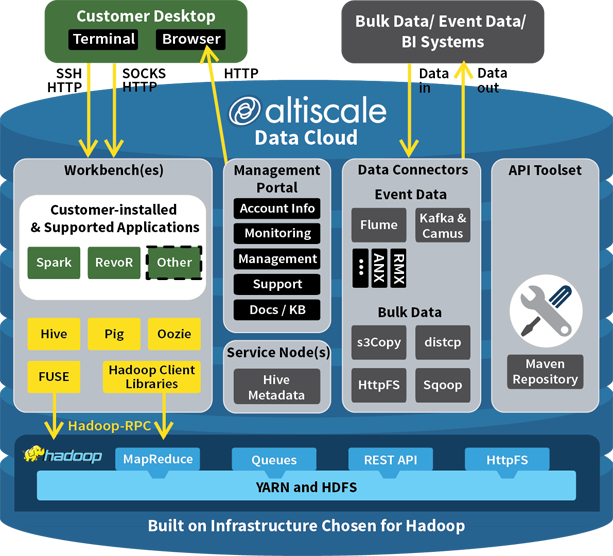 Altiscale Inc., which provides Big Data-as-a-Service (BDaaS), today announced a partnership with AtScale Inc. to bring Hadoop-based online analytics processing (OLAP) to its Big Data cloud. AtScale is an OLAP-on-Hadoop specialist, providing what the company calls "the world's first OLAP server for Hadoop." It facilitates business intelligence (BI) analysis with popular tools such as Microsoft Excel, Qlik and Tableau. Earlier this year, it announced its BI technology was being added to HDInsight, a Big Data service running on the Microsoft Azure cloud. With the new Altiscale partnership, the AtScale Intelligence Platform runs on the enterprise-oriented Altiscale Data Cloud, which supports popular Hadoop ecosystem technologies such as Apache Spark, Hive, Pig, Oozie, Flume and many others. Now OLAP is being added to the mix of services offered by Altiscale, which early this year secured funding that highlighted the industry trend toward BDaaS. "Hadoop environments can be difficult to set up and operate -- according to a leading industry analyst firm, seven of 10 Hadoop implementations will fail to meet their business objectives -- and Hadoop environments are difficult for business analysts to use," the company said in a statement today. 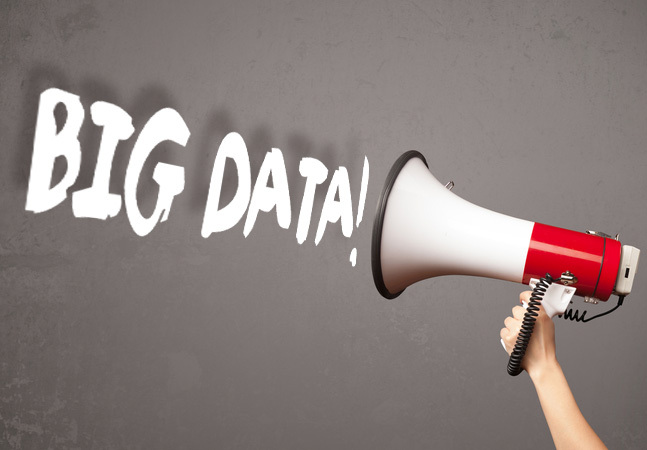 "The combination of the AtScale Intelligence Platform and the Altiscale Data Cloud addresses both of these challenges, providing an easy-to-use BI experience on top of Hadoop-as-a-Service. As a cloud offering, Altiscale is very quick to deploy, requiring days, not months, with significantly lower upfront costs than on-premises options." 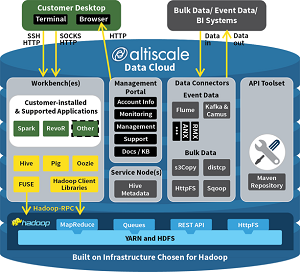 The Altiscale cloud is centered on YARN, a core Hadoop ecosystem component that provides the architectural backbone for various data processing engines, improving upon the original batch-oriented MapReduce technology. The Altiscale platform targets users leveraging the Hadoop Distributed File System (HDFS) as a primary storage service. The OLAP BI functionality is being added to existing support of data warehousing and BI tools such as Netezza, Vertica and Tableau. It can work with event and bulk data from sources such as Omniture, BlueKai, Coremetrics, AppNexus and more. The company said it uses a pay-as-you-go model based on usage, rather than nodes. "Our mission is to bridge the gap between the existing business intelligence ecosystem and Hadoop," AtScale CEO David Mariani said in a statement yesterday. "The Altiscale Data Cloud is a great solution for companies that need enterprise-grade Hadoop but do not want to have to implement or manage infrastructure. By offering AtScale Intelligence Platform for the Altiscale Data Cloud, the two companies provide a solution that goes a long way in letting business people do BI, at elastic scale and with OLAP speed, without having to worry about technical infrastructure."